old posts - dylan johnson, bassist. I am very excited about making coffee in the Aeropress. It is pretty amazing. Check it out if you are a coffee head. 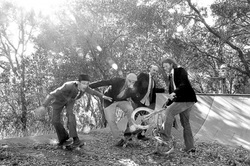 The Westsiders @ Frog and Peach Tonight, 5/31/11 and every Thursday night from 9-11 in back of Villa Creek restaurant in Paso Robles. I have the pleasure of backing up Jude Johnstone this Sunday at Castoro Cellars as part of a SloFolks benefit. I think we play at 6 or so. This weekend 5/13 and 14!!!! 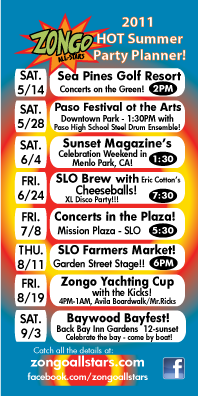 June performances added to calendar. 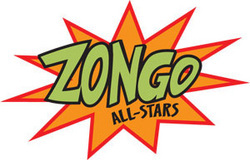 Zongo All Stars are back in action for the summer. Come check us out. We have some new music for you and are laying down tracks for our first CD. Jude Johnstone @ Slo Folks Benefit Castoro Cellars June 5th. Come and check one out! Westsiders will be playing this Friday from 9-12 @ Merrimaker in LO, then on Saturday we will be at Edward Sellers in Templeton from 130-430. Later that night we have a CD Release party at Frog and Peach from 1030-1. Whew! On Sunday it is total improv interpretive dance madness @ Yum Session from1030-1230, then later from 530-830..... That is at Monday Club in SLO..... 10-25 at the door. John Lee, Antier Mensah, Jake Odell, Aaron Wolf, and Forrestt Williams will be on hand for some serious sounds. from friday's gig w/ Balawan and Batuan Ethnic Fusion w/ Scott Amendola @ Other Minds 16 in San Francisco. I need a translator. SAN FRANCISCO, KOMPAS.com - guitarist I Wayan Balawan (37) from Bali happy. Other performances on the second night Minds Music Festival 2011 in San Francisco (California, USA), Friday (04/03/2011) local time, drew a standing ovation form (rise from the seat and gave a long applause) from the audience which presents the festival composer-a composer who is considered creative and unique. In front of nearly 500 spectators and the general law, to perform on stage Balawan Kanbar Hall, San Francisco, accompanied by I Nyoman Nyoman Suarsana Suwida and I, two Balinese gamelan players from Batuan Ethnic Fusion, the formation of the group in his hometown, Rock (Sukawati, Gianyar , Bali), in 1997. For 30 minutes, they serve "GloBALIsm", "Mie Goreng", and "See You Soon", the three old songs Balawan invention. Balawan, known as the guitarist with the tapping techniques (such as playing piano playing guitar), played with two electric guitars - is a double neck and the other "regular" - plus sound effects complement. Meanwhile, Suarsana and Suwida using bronze, drums, and flute, which is part of the Balinese gamelan. Batuan Ethnic Fusion Balawan with its fusion is present, between jazz and ethnic music of Bali. In the song "GloBALIsm", supported by Suwida Balawan and Suarsana only, while the other two songs, three of them supported by two San Francisco musicians, Scott Amendola (drums) and Dylan Johnson (bass). In the show, Amendola also had the opportunity to complain drum game Balawan guitar playing, the sound it was changed to sound like percussion, and the bronze by Suarsana game. In the play it was Balawan also give some idea to the audience, the majority of U.S. citizens, about how to play the bronze. To that end, Balawan asked Suarsana and practice games Suwida bronze with slow tempo and fast tempo. In addition, do not forget to put Balawan joke when talking to the audience. Of the four living composers Other Minds Music Festival 2011 which in turn appears on the second night of the festival, which David A Jaffe (USA), Balawan, Agata Zubel (Poland), and Han Bennink (Netherlands). Balawanlah who gave the most entertaining presentation. Treat the three other composers tend to prioritize based on the uniqueness of the festival. On the other hand, presents unique Balawan entertainment as well, which impressed the audience once enjoyed. At the end of the show, the audience to a standing ovation for Balawan and friends. Balawan-cs is only one viewer on the second night of the festival is to make the audience so. Words of appreciation were, from "Amazing", "Wonderful", "I really enjoy your music," or, "Thank you for your performance", flowing from their lips while Balawan shook her and her friends. I have decided to work up a new blog style website to replace my MySpace page. Too much spam..... More to come.